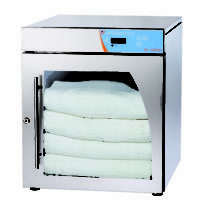 EC1540BL Combination Blanket/Fluid Warming Cabinet - J.D. Honigberg International, Inc. 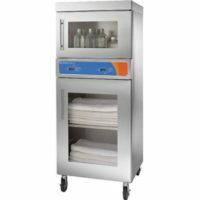 Maintain patient normothermia in busy emergency rooms, operating rooms and labor and deliver units using the convenient, affordable and reliable EC1540BL combination blanket/fluid warming cabinet. Separate controls ensure that blankets and fluids are safely heated to recommended temperatures. Improve recovery time by efficiently warming patients from admission to discharge, reducing the risk of surgical site infections. 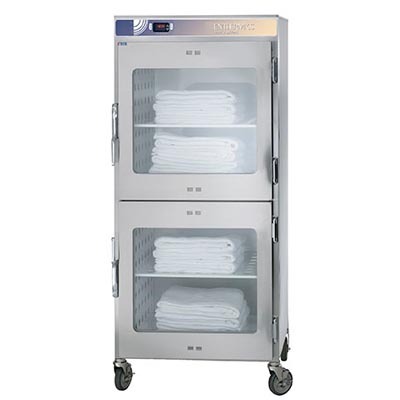 The durable, heavy-duty stainless steel Titan Series blanket warmers quickly and efficiently heat blankets and fluids to precise temperatures using the digital control, ensuring your warmed fluids meet healthcare guidelines for IV and irrigation fluids. 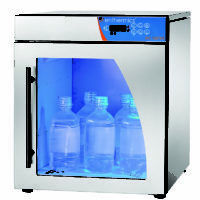 Ensure each bag and bottle is safely warmed using WarmRight® technology, which provides the right temperature for the right product.With the optional WarmWatch™ fluid monitoring system, track and analyze reliable temperature data througout the life of the warmer. 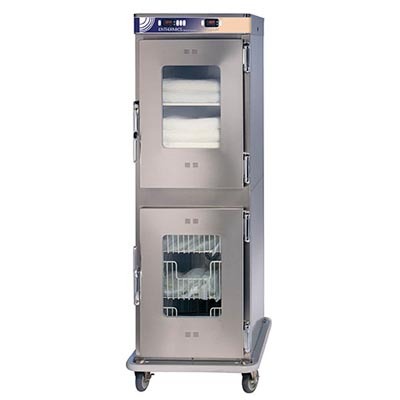 Mobile: Rugged casters are designed to easily transport warmed fluids and blankets throughout the facility.